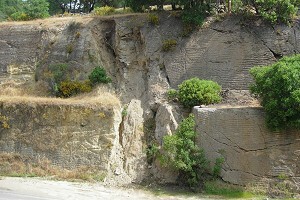 The Cordelia fault, west of Fairfield, provides the best exposure of the San Andreas fault zone in the Bay Area. Photos by Andrew Alden. The San Andreas fault is called the boundary between the North American and Pacific plates. It gets a lot of attention, but the plate-tectonic action actually is spread over a wide band of active faults on both sides, west and east, of the San Andreas proper. 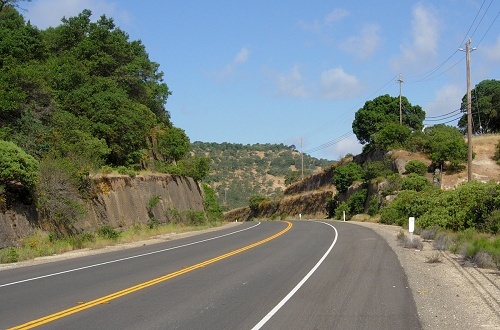 The easternmost strand of the San Andreas fault zone lies in Napa and Solano counties. This simple road trip will get you acquainted with it. The textbooks say that the thin bright line of the San Andreas fault is the plate boundary, but in real life the North American plate is deeply splintered halfway to the Rockies. North America and the Pacific have about 2 inches a year of motion between them. The San Andreas proper accounts for the majority of that, but lesser faults in the Coast Range like the Hayward, Calaveras, Rodgers Creek and Maacama take up a large share too. 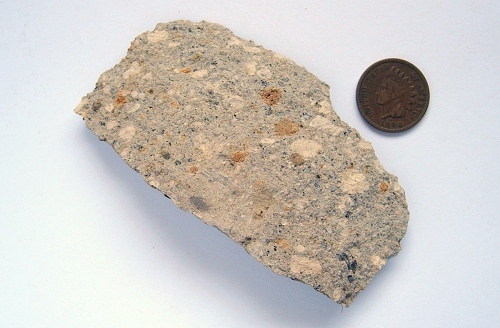 Even the crustal cracks east of the Sierra Nevada move a few millimeters a year. Basically, the whole Bay Area sits within the plate boundary. Around here, the easternmost part of that boundary consists of the Greenville/Concord fault in the East Bay and the Green Valley fault in the North Bay. 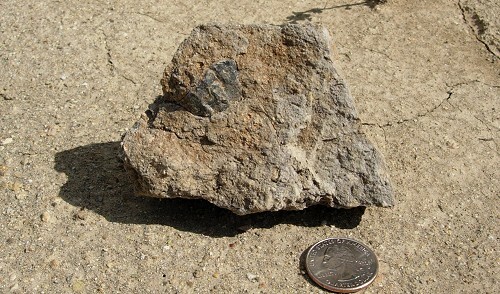 The two faults are considered to be connected, although they are offset a few kilometers from each other beneath Suisun Bay. Both are worth a day trip, but let’s go north this time. 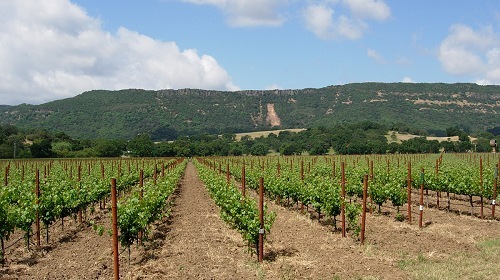 Here’s a look at the geology of the area between Fairfield and Napa. 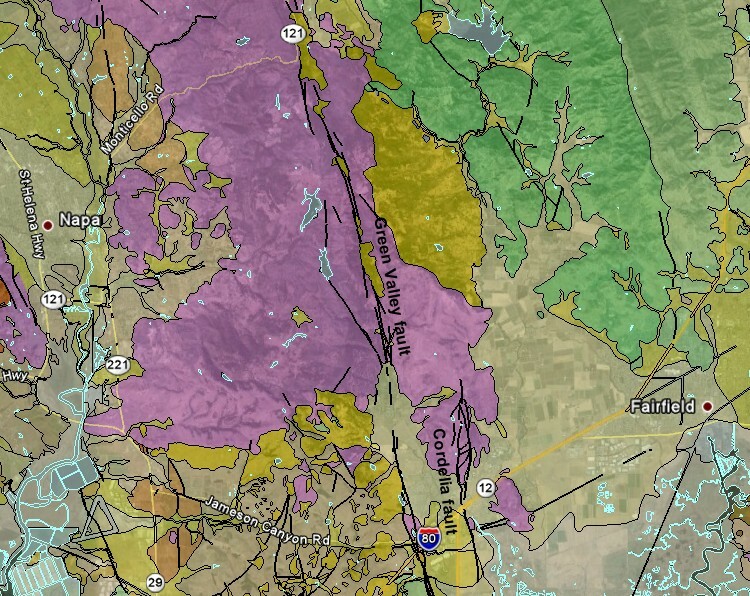 The purple area is young lavas and related rocks of the Sonoma Volcanics. The green area is much older sedimentary rocks of the Great Valley Sequence; we won’t see those. The gold in between is widespread landslide deposits. We’ll start west of Fairfield at the Green Valley Road exit from I-80 eastbound, which is just before the intersection with I-680. From 680 take exit 70 and take three right turns to reach Lopes Road, which becomes Green Valley Road. Now the fun part begins as you make your leisurely way into Green Valley. 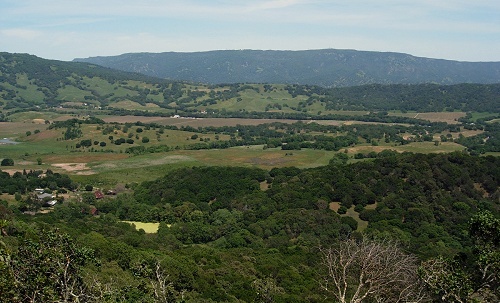 The valley is bounded along its west side by the Green Valley fault, which runs north into private land in the rugged hills. The Green Valley fault seems to rupture every thousand years or so (and last ruptured between 1600 and 1800), but there isn’t much data. There is some creep motion measured on it. 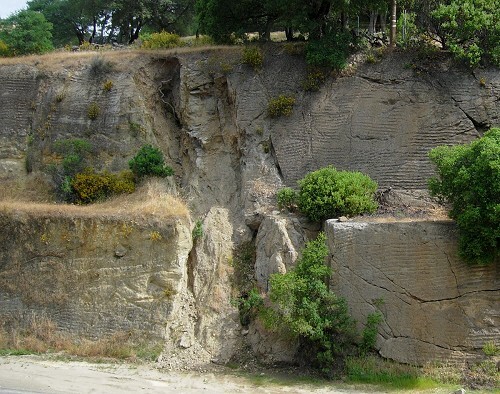 The Green Valley fault is not easily visited, but its smaller sibling is—the Cordelia fault. It runs through the lava hills on the east side of Green Valley. About 3.5 miles up Green Valley Road, Rockville Road exits to the right. Take it over the hills for about a mile and a half until you reach a dramatic roadcut. This is it looking west from the far side. On the geologic map above, it’s at the north end of the Cordelia fault. 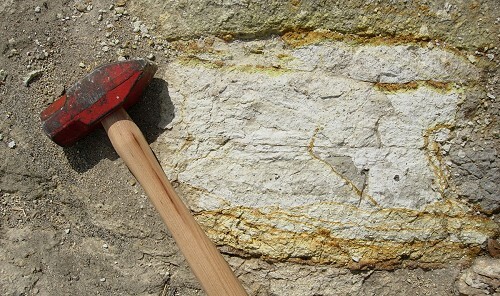 Pull over and find the distinct trace of the fault, made obvious where the finely ground rock, or gouge, in the fault zone has crumbled out. The west side of the Cordelia fault is moving north, but no movement has been recorded in historic time. This is an easygoing fault, at the edge of the busy zone on the plate boundary. It’s about as user-friendly as a fault can be, and its appearance here is the best fault exposure in the Bay Area. If you have the time, just a little farther there’s an entrance to Fairfield’s Rockville Hills Regional Park and an EarthCache connected to the Cordelia fault. From here, continue on Rockville Road and turn left on Suisun Valley Road. This leads into the hills and becomes Wooden Valley Road. After about a 10-mile drive you’ll enter the charming Wooden Valley, at the top center of the geologic map. From there you can look west to the Green Valley fault again as it emerges from the hills and runs along a high scarp. The fault ends just north of here. Wooden Valley Road ends at state route 121, Monticello Road. Turn left on it and drive along the Green Valley fault. Notice the landslide scar from 2006 in the picture above and watch for it as you drive past; the whole hillside is unstable. Where the road turns sharply right and heads into the woods, there’s a small turnout where you can admire the view east over Wooden Valley to the highest spot in this part of the Coast Range, Blue Ridge topped by Mount Vaca. From here it’s a nice drive through the volcanic hills down to Napa and the heart of the wine country. Prev Life-Size Mouse Trap Needs Your Help! Next The Sun is Having A Blast!